How to get the best Myrtle Beach Golf Deal? So you and your golf buddies are sitting around the clubhouse bar discussing your round and someone comes up with the idea to go on a golf trip. What do you do? Let’s go to Myrtle Beach but how do we get the best deal? A Myrtle Beach golf package is how. 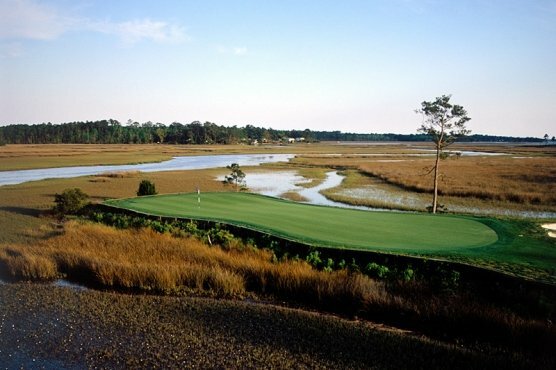 Myrtle Beach is world renowned for offering great golf at bargain prices. A Myrtle Beach golf package can not only save you money but ensure that your trip is hassle free. Here are a few tips to booking your Myrtle Beach golf vacation. PICK A GROUP LEADER - It makes it easier for everyone to have one person in charge. The group leader will be the contact man for the package provider to communicate with. It does not matter whether you have a group of 4 or 24 (or more) having a group leader will simplify things. CHOOSE YOUR DATES – Especially with a larger group it is important that everyone will be free to participate on your Myrtle Beach golf package. BUDGET – Have everyone agree what is affordable. HOW DO CHOOSE YOUR MYRTLE BEACH GOLF PACKAGE PROVIDER – There are many to choose from but it is best to stay with an established company. Myrtle Beach Golf Authority is a division of Elliott Realty which has been serving Myrtle Beach for over 50 years. The golf director, Cathy Ziegler is an avid golfer as is her assistant Karen Gilmond. Together they share their experience and expertise to ensure that all of their clients are happy. Customer service is their main objective combined with being sure that each package is customized to fit each group. 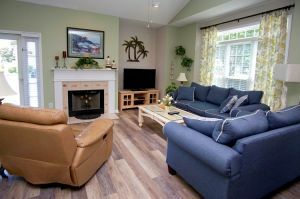 With several hundred rental units available, from ocean front condos and houses to houses and condos equipped with swimming pools, hot tubs, pool tables and game rooms, they have the ability to fit all sized groups. With their knowledge of the Myrtle Beach golf courses they will make sure that your group will get what it wants. Most of Myrtle Beach Golf Authority’s customers return year after year which allows them to get to know your group and serve their needs on your next Myrtle Beach golf vacation. ONCE YOU HAVE YOUR DATES AND BUDGET – Your group leader simply contacts Cathy or Karen at 888-272-7263 and let them help you select the correct Myrtle Beach golf package for you and your group. They take the hassles out of making tee times and can ensure that the logistics to your accommodations is feasible. ARRIVE IN MYRTLE BEACH AND ENJOY THE TIME OF YOUR LIFE WITH YOUR BUDDIES ON YOUR MYRTLE BEACH GOLF AUTHORITY PACKAGE!! !